Welcome to Bookdom (Book Kingdom)! This is a brand new social media for all bookworms out there. 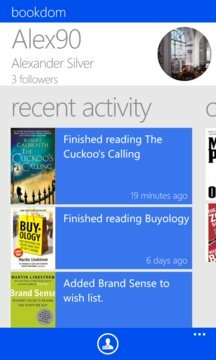 Download this app now to see what your friends are reading, find people with similar taste in books, find new interesting books to read, keep a track of titles you have read so far, and a lot more. Install now and become a book-knight!